If you ask a successful person what is the most valuable thing one should ever waste, his/her answer definitely would be time. Time, which doesn’t for anyone, runs very fast when you are enjoying, and crawls like snail in unpleasant state. Enough of philosophy :D, lets start getting a sense how you are spending time on Internet. Mind The Time is an addon for Mozilla Firefox which keeps an eye on the time you spend on the web. You can now have statistical insights how much, where you spend most of your time on Internet. Lets explore how we can use Mind the Time on Firefox. 1. 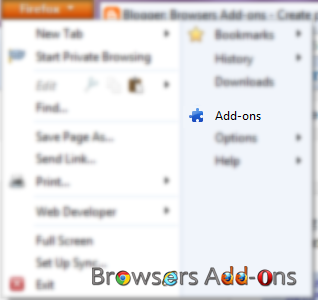 Go to Mind the Time Mozilla add-on page, or simply click on the above download link and click on “Add to Firefox“. Adding Mind the Time to Firefox. 3. Mind the Time installation box pops-up. Click “Install Now” to continue installing add-on, “Cancel” to abort installation. Firefox Confirmation to Install Mind the Time. 4. Mind the Time doesn’t require restart to activate the add-on on Firefox. Mind the Time Installation Successful. 1. You can find the detail explanation about using Mind the Time’s option page. Some key take aways. The data is stored locally and deleted after 70 days. 2. Some of the features include setting reminder messages, white list option, come with time ticker. 3. To view Stats, click on Mind the Time button which should be located at top right side of the browser. Click on “Show Summary Page“. Mind the Time Button with Time Notifier. Some Data after Installing Mind the Time on Firefox. 4. For preferences (options), goto Firefox Addon’s manager and search for “Mind the Time” under Extensions. Click on “Options“. Disable/Remove Mind the Time from Firefox. NOTE: Both options doesn’t require restart for the actions to take effect. Next story Change Your Default Browser In Windows 10 In 4 Simple Steps. Previous story Make Chrome’s Tab Speaker Interactive in 3 Steps.